While neither console version of Lego Worlds has been performing particularly well since the game’s launch, Xbox One players have been dealing with a particularly nasty bug that’s been irreparably damaging save files since mid-March. Lego Worlds is basically Minecraft with Lego bricks. Players explore randomly generated worlds, scanning in Lego buildings, objects and characters to ultimately use in their own creations. Dedicated players have already sunk hundreds of hours into the game between the early access on Steam and the official launch in early March. This is the second time this has happened on my XBox One and despite reaching out to Warner Brothers Game Support and reading numerous other cases on the Internet, I haven’t found a working solution. For whatever reason, Lego Worlds glitches out starts giving me the message: “Could Not create save data!”. This appears when you try to load your existing game and any new games you create. Anything that triggers a save brings up the error window, which means it basically appears during any kind of meaningful interaction with the game. Ultimately Stormdude had to delete the game from both his console and Xbox Live, starting over completely. Then it happened again. Unfortunately I’ve had this problem occur a second time, around when I unlocked the “Huge Worlds” at 80 bricks and ~700 discoveries. Scott also pointed us to the Lego Worlds Twitter account, where every single tweet is accompanied by a host of replies from angry Xbox One players. The save data corruption issue originally affected both the PlayStation 4 and Xbox One versions of the game. The PlayStation 4 version was patched on March 17. 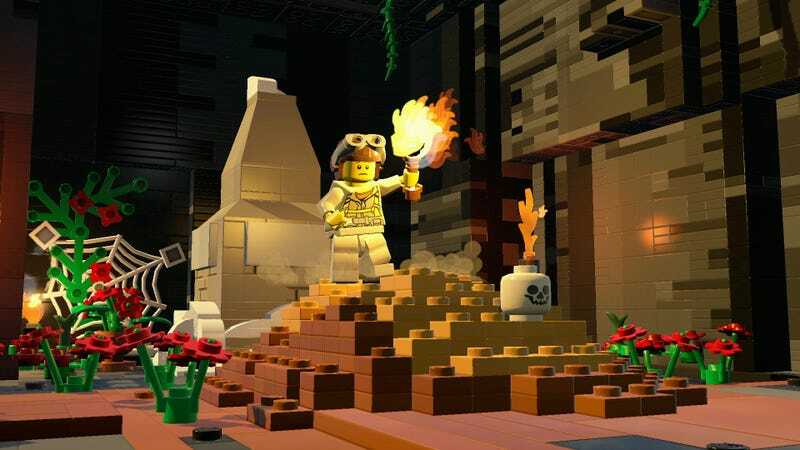 Around April 6 the Lego Worlds Twitter account indicated that the issue may have been resolved. But that was not the case, and the save corruption still continues.